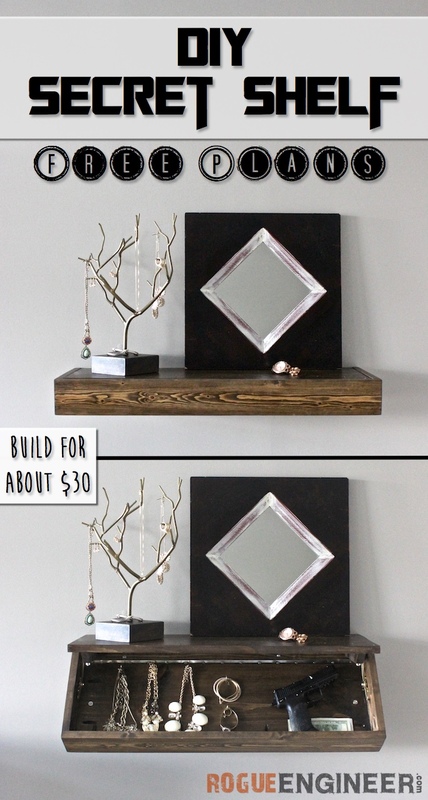 I recently designed a floating shelf for Whitney from Shanty2Chic and it had me thinking about all that wasted space inside the floating shelf. Then the light bulb went off! A false bottom with hidden storage! That was it! So off to the drawing board I went. After a few hiccups, this is what I came up with. And, believe it or not, I built it for about $30!